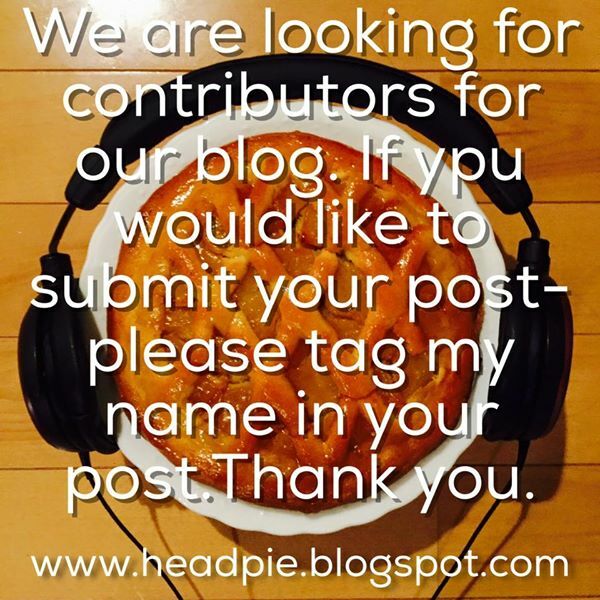 Head Pie is looking for contributors for our blog. 1. How honest could we go? 2. Regulation on review unit, free review unit/sample, "free" review unit/sample? 3. What if the review is against the products of site sponsors? 2). Be transparent. Say whether you bought, got given or were loaned the unit for review. 3). We have no advertising or sponsors as such, as yet. Short pieces, medium pieces, long pieces. Each submission would ideally contain 1-5 photos. Short announcements about new products. Impressions of gear that you have tried or that you own. Short or lengthy review of gear (Daps, amps, headphones, earphones etc). Comparisons between similar products in the same price range (Daps, headphones, amps etc). Articles on cables, bit rates, audio shows etc. Interviews with makers, designers, companies of audio products. Simple is best, less is more. *Please see older articles in the blog for some ideas, of course adopt your own unique style. One audio head friend told me about one prominent member of our community. I mentioned he seemed to like whatever he reviewed - although he didn`t review much. He replied that he only reviewed what he actually liked. Fair enough. Sometimes we may review bad products, but usually we will stick to products we like and think are worth our hard earned cash. 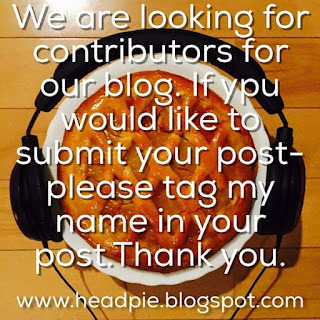 *Questions may be via headpieblog@gmail.com or via our Head pie Facebook page. *We reserve the right to refuse any submissions or request more information or editing. *We may edit articles for grammar, spelling etc but generally not the content. This FAQ will be updated as time goes on.